In the realm of “fan theory” the main contention is one of intention. That is to ask “why does sync… Sync?”… Was it planned by the artist? Did they know what we would be thinking, and somehow worked magic on us? Or is something more mystical, something meta, going on? Film as an art is a deep and wide pallet, with many ways to lead the crowd to certain conclusions. We are fooled into becoming emotionally attached to the lead… Or we are told how to think in documentaries… Taking for granted that the facts presented as true. All art is propaganda. The artist wishes to lead you somewhere. And we ARE fooled. We think we know history from blockbusters. Or is there something cosmic going on? Or maybe more than one contradictory things, are going on at one time? That’s a tough one ain’t it? Or two? Sync is like meta “fan theory”! Lets not spend our time defining it now. Lets talk about the practice of theory. Let’s talk about being a fan of something so passionately that you become sure there is something more going on than the whole rest of the world sees, perhaps in a way even the whole rest of everybody is incapable of seeing. When does it stop being just an interpretation of what you think it means, what your “fan theory” is, and move into the realm of exploring what’s actually there? Logged in to The Sync Book, listening to Sync Book Radio. Always Record episode 40 with John Sousa from Canadian Dipstick. He mentioned that he had a friend, an actress… And after hearing about how we look at movies he started watching her work in a new way, and gave a breakdown on it to the guys over at AR(Always Record)… Totally intriguing. Are we programed as to what to get excited about? However, if you could discuss their sync thread with the person behind the actor or actress… What would that be like? It stands to reason that a theory can be proven or disproven, if we cut through speculation, and then test any single notion’s validity. Our friend John here could get all kinds of paranoid seeing that his friend has done some work that really influenced people… Won awards even. Who pulled those strings? Well, she’s a friend, so he could ask her. But, actors actually OWN the experience of their work. No one knows their stuff like them. What would they think about our “theories”? Let’s put on our Sync Goggles… And watch. You can find an interview by Just In Canada with Mikela here. Very early on in this video Mikela mentions how unfulfilling she found her acting gigs at the beginning of her career. She turned to the activist community and discovered that doing narration in movies like THE CORPARATION, gave her a sense of purpose and an appreciation affecting people in an enlightening way. In the investigation into her sync, this becomes very helpful in unraveling the subliminal theory of Mikela. It has been our experience that individual’s “threads” often have a sense of personalization. That is to say, an actor’s work of film is like a family tree. Everything is influenced by everything, and somehow this is detectable in everything else through subliminal dreamlike language. The 1995-2002 production of THE OUTER LIMITS is a classic series for both Sync Heads and Sci Fi nerds of varying degrees. Lots of great actors in very emotional and fantastic situations. The highly speculative nature of the story telling gives it a symbolically rich texture. It’s easy to theorize about subtext. Mikela is in the episode “Simon Says” as Zoe from the 2000 season. That’s S6 E8. You can also find her appearance in STRANGE WORLD 1999, LIVING WITH THE DEAD/TALKING TO HEAVEN (tv movie circa 2002), and in THE L WORD from 2005 if you are diligent (Stored in Dropbox42 for members). But, wait, that’s not all. Mikela, like many of the actors we have focused on, is an artist who cannot be contained by one medium. She is also a performance artist and a model. Somewhere in a parking garage beneath Toronto this scene took place. Museum Of The Rapture was a Nuit Blanche event from September 2012. You can find out more by visiting the artist’s site, Douglas Coupland, and the event page. That’s Mikela there dead center of each still. Although this was a live installation, you can see the video presentation of the event here. …and Mikela’s “best sister” and band mate Andrea there in the chair beside her in the picture above. Which gives us a good opportunity to address Mikela’s band. 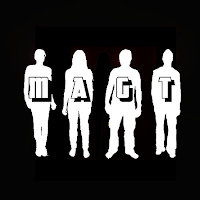 At the webpage Bureau Of Power And Light you can find information about MAGT. They are a self labeled “intele-pop” band…they play “intelligent pop” music. The band members are Andrea Battersby, Geoff Doner, and Troy Jackson… As well as Mikela Jay, of course. Toronto based and incepted in 2012, MAGT was spawned from the need to “economize and channel the creative energies of it’s four founding members into a force for real social change”. We might get to talk about the use of the word “economize” later, but for now we need to ponder what all of these things might have in connection with each other… Besides Mikela herself that is. The facets of Mikela’s career that we have chosen to focus on have a through line… In the top left (model picture dressed as bride) the idea of a coffin is implied. This particular piece was discovered on Mikela’s social media page after with the comment “I wonder the symbolism here… Married to death, maybe?”. There is no actual coffin depicted, but it is an unavoidable thought when viewing the photograph. As with the “Bride of Death” picture, the idea of death is also subliminally hinted at in the name of Mikela’s band. 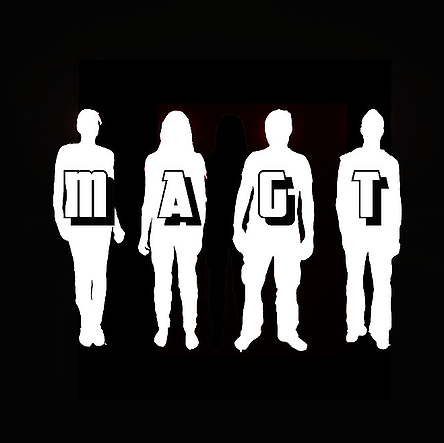 MAGT is the Danish word for power, but is pronounced much like “maggot” the small insect larvae that feed on decomposing flesh. Power and Death! Besides they also have a project called In Light Of Death… So make of that what you will. As far as the Museum of The Rapture installation goes, the artist is drawing attention to the futility of contemporary corporate living. Mikela literally lies in a death state on the floor. She twitches, dead but not dead, living but not living, going through the motions… And yet not really doing anything at all. We can now hold this theory up to Mikela’s films, seeing that the majority of this investigation will rest on her filmography’s shoulders. 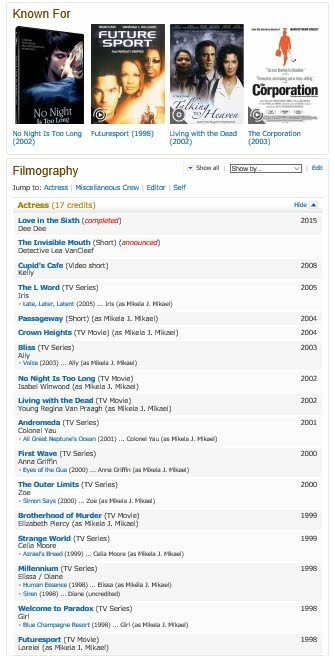 We don’t even have to go far, in fact we don’t have to view anything… In the “Known For” section of her IMDB entry we have 2 direct hits. TALKING TO HEAVEN (also titled LIVING WITH THE DEAD) from 2002 has the dichotomy of dead while living within it’s very title. 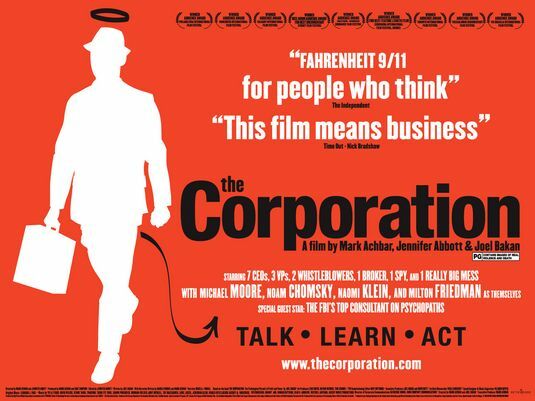 Right next to it is perhaps Mikela’s most noted work, the documentary THE CORPORATION. This poster features as a symbol of the contemporary corporate living, a silhouette of a business man. He is highlighted by a halo and a devil’s tail. These are used to show the potential for good and evil, but they also symbolize the after life… We go to heaven if we are good (halo) or hell if we are not (devil’s tail). Even if this is not the intention of the poster, it fits into the subliminal pocket of our working theory to this point. 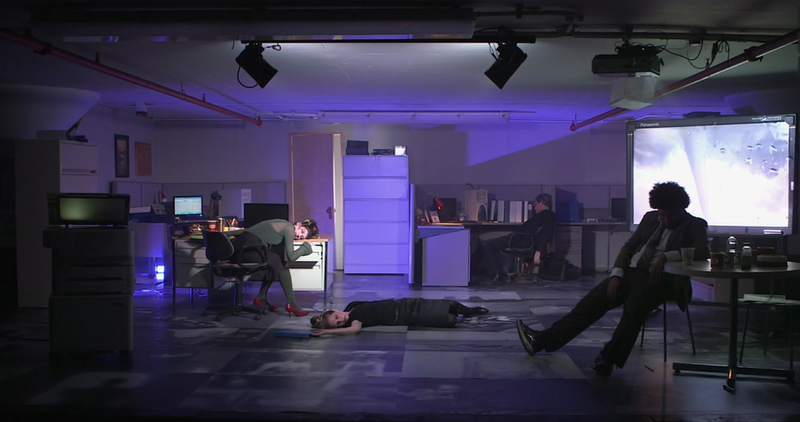 This interplay between concepts of death and the idea of the corporation gives us a symbol set, a set of symbols that work together to create a web of meaning that, in theory, follows an actor around creating what we call a sync web. What I mean by Sync Web is a map of connectivity in the symbols that follow an actor, and how this personal imprint relates to the other actors they interact with on film. We are investigating Mikela’s Sync Web right now. As Mikela says in the article linked at the beginning of this piece, after THE CORPORATION many doors opened for her as a narrator of documentaries. Since then she has done numerous docs including; PAX AMERICANA AND THE WEAPONIZATION OF SPACE, PSYWAR, and HUMAN RESOURCES all available online (links provided). One of her newest projects is PLUTOCRACY…. which is also free online. This picture holds a clue for us in regard to our working theory of Mikela. The word itself is from the god Pluto, who ruled the underworld, as the god of wealth. It would seem that Mikela’s symbol set mimics this archetype and brings our working theory into better focus. The land of the dead and finance have an ancient relationship and we are looking to Mikela to help us understand this relationship. Further investigation will now commence in a series of post that will explore her film career. These will also be available here in The Sync Book forum section and you can find commentary on these ideas in the form of podcasts that were produced with Mikela earlier. Will Morgan and guest host, Andras Jones, share 42 minutes & the Radio8Ball with triple threat, Mikela Jay, and discuss her career as an actor, model, and intele-pop star.Topics: Fire, Ice, 50/50, Channeling Your Inner Joni Mitchell, The Corporation As Empire, The Art Of War, Future Shock, Mia Farrow’s Baby, Intele-Pop, MAGT, Strange World, Outer Limits, Living With The Dead, Cosmic Whistleblowers. Be Cool is the original interview with Mikela Jay, and is being made free for download now, along with the extra material that was record after which has previously only been available through the Sync Book’s member section. Mikela Jay – Oz/Land Of The Dead, Death and Taxes (from 09.25.15) Will takes Mikela on a road trip to the Merry o land of Oz, using Mikela’s work, they discover the connection of Oz and economics. Mikela’s sync web is unique in that it follows the rich informative nature of her documentaries. We intend to focus on the material that has already been covered here, as well as her upcoming works, INVISIBLE MOUTH, and LOVE IN THE SIXTH. These will likely follow the patterns covered in this piece, solidifying our theories, or perhaps they will spread into new tangents that haven’t been explored or even considered yet. For those who are interested in following her new projects as they develop stay tuned… Her newest Documentary COSMIC WHITLEBLOWERS was screened in Roswell New Mexico on 5/20/2016 and the following night 5/21/2016 Mikela will have performed it’s title track at Wiggle Annual Art & Performance in Montreal, Quebec. It goes without saying that Mikela is staying busy and we have a lot to look forward to from her. 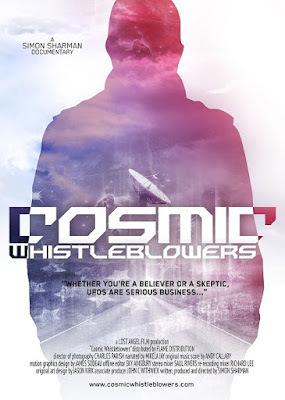 We can even see how COSMIC WHITLEBLOWERS fits into our theory just from the poster… Although the connection of the dead and ufo’s has been explored more recently by individuals such as Whitley Strieber, we might not even have to stretch to that length. This is because both THE CORPORATION and COSMIC WHISTLEBLOWERS actually use the same tag line. If you scroll back up you can see that THE COPORATION says “This Film Means Business”, while COSMIC WHITLEBLOWERS seems to boast “… UFO’s are serious Business..”. 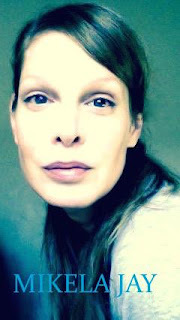 If you are interested in the work of Mikela stay tuned to this forum for future post past this introduction. If you are an actor or actress, know one, or would like a commissioned project, please contact The Sync Book for further information on our cinematic sync endeavors. There are also several posters and illustrations that even more perfect as interior design “art and deco” specially if they are printed and made in quality materials with unique print layout.